It seems like only yesterday the excitement surrounding the leaked Samsung Chromebook Pro/Plus was at its peak and the future of Chrome OS devices opened the door to a new generation of Chromebooks. We’ve covered a lot of ground as it pertains new and upcoming devices and as the newness begins to wear off the Samsung and the ASUS C302 I thought it would be a good time to look back and get hyped again at all the yet-to-be released Chrome devices that are on the way. Before we cover new Chromebooks that are still in the works, let’s take a quick look at the most recent devices to make their way to the world of Chrome OS. Without a doubt the poster child for the new generation of Chromebooks, the Samsung Plus has laid the groundwork for there Chromebooks are headed but mark my word, as great as this device is, it’s only the beginning. The stylus-wielding convertible has a lot of potential for designers and doodlers alike. The Samsung may be the queen of the Chrome OS world at the moment but if these two were to battle head-to-head picking a winner would be a tough undertaking. Both devices have distinct advantages. For a power user, the ASUS’ Core m3 processor will likely grab your attention. However, the 3:2 screen ratio of the Samsung is a thing of beauty and admittedly I found myself drawn to it time and again. The next generation of educational Chromebooks, these devices sport the newest low-power Apollo Lake chipsets from Intel. Don’t let that fool you. These devices are rocking some serious hardware. 4GB to 8GB of RAM, up to 64GB of storage, styli and a second, “world-facing” camera give these devices a distinctive edge over their Braswell predecessors. All this wrapped in rugged, classroom friendly housings. What is likely the last of many variants of the Intel Braswell series, these Chromebooks feature rugged designs and will be a cost-effective alternative to institutions on a budget too tight for the newer Apollo Lake-based convertibles. Here’s where the excitement begins to mount. There are a lot of new Chromebooks and Chrome devices in the works and we will do our best to keep tabs on all of them. From here out I will refer to the devices by their code name as the manufacturers are a bit tough to pin down while still in development. We have strong suspicions that this is a new Skylake-based convertible Chromebook being produced by Dell. While we have no specific board we are tracking, we have it on good authority that Dell is also producing a new Kaby Lake Chromebook. Another MediaTek MT8173 convertible built on the same baseboard as the Acer Chromebook R13. The big sister to the Samsung Chromebook Plus, this is the official code name for the Samsung Pro. Literally a clone of the Plus, the only differences being an Intel Core m3 chip and a black metal housing. What we believe to be a true refresh of the ASUS Chromebook Flip C100, ‘Bob’ looks to be almost identical to the first generation Flip with an upgrade to the RockChip RK3399 found in the Samsung Chrombook Plus. The next iteration of the popular line of Lenovo Yoga ThinkPad devices. This convertible will house an Apollo Lake processor and likely be market to schools and students. The counterpart to ‘Pyro’, this Yoga ThinkPad looks to be another convertible but this one comes equipped with a stylus or at least support for one. This one has me a little excited. A 7th generation Kaby Lake device, ‘Eve’ looks to be a convertible Chromebook like many others but the newest chipset from Intel will likely make this baby a powerhouse. It is possible that this is the Dell device mentioned above. You didn’t think I was going to forget this one, did you? That’s right, the Lenovo YogaBook we have been tracking for what seems like an eternity. The convertible Chromebook will be the first of its kind equipped with a “touch” keyboard and trackpad. We are still keeping a close eye on this one and it appears that developers are focused solely on getting the touchpad keyboard in order. Most likely that is the only thing holding this device back from making its debut. There you go. Just in case you were getting a little impatient as to whether or not some new devices were coming, rest assured, they are in the works and there are many. With Q2 right around the corner, it will be nice to see some of these Chromebooks becoming official. I know I can’t wait to get my hands on all of them. No worries. Chromebooks aren’t the only thing we have to look forward to. As a matter of fact, if a traditional laptop doesn’t do it for you, some of these devices might be right down your alley. There’s been a lot of talk about the demise of Android tablets and the future of never before seen Chrome OS devices. We’re ecstatic to report that not only are Chrome OS tablets and Microsoft Surface-esque plausible, they are happening. Here’s a list of know devices in the works. This device may be the first of its kind. What little we know so far is that ‘Poppy’ is a detachable, Skylake-based Chromebook. There is a lot of work being done in the Chromium repositories on detachable menus and UI. It may be some time before we see this device become a reality but it is coming. One of the first Chrome OS tablets in development, ‘Scarlet’ is a smaller, 7.9″ RockChip RK3399 device equipped with front and rear-facing cameras. We believe this new tablet to be a 9.7″ device and it appears to be equipped with a newer, MediaTek MT8176 ARM processor with similar “‘big-little’ architecture to the RK3399 and MT8173. ‘Rowan’ also has recently received support for a fingerprint scanner. It has been quite some time since we’ve seen a new Chromebox released to the general public. AOpen has recently unveiled a low powered RK3288 Chromebox Mini for kiosk applications but higher-end consumer devices have been quite lacking. Based on the newest 7th gen Kaby Lake chipset, ‘Fizz’ is a bit of an oddball with eMMC storage. Most Chromeboxes come with expandable storage making this a unique device. More than once in the repositories I’ve found the term “reference” connected to ‘Fizz’ likely making this a developmental device. Either way, chances are good we will see a new Chromebox coming in the near future. Well, there you have it. 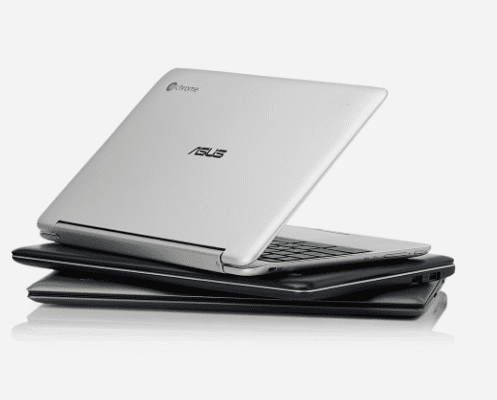 That’s a lot of new Chrome OS devices to get excited about. Every week we see more and more new stuff making its way to the repositories and as we begin to see these products hit the shelves we will surely have many more to share. For all the ins and outs of all these new devices check out the upcoming devices list from Chrome Unboxed. Update: What was I thinking? Somehow, in the midst of this robust list of new devices, I totally forgot two Chromebooks I am personally thrilled about.